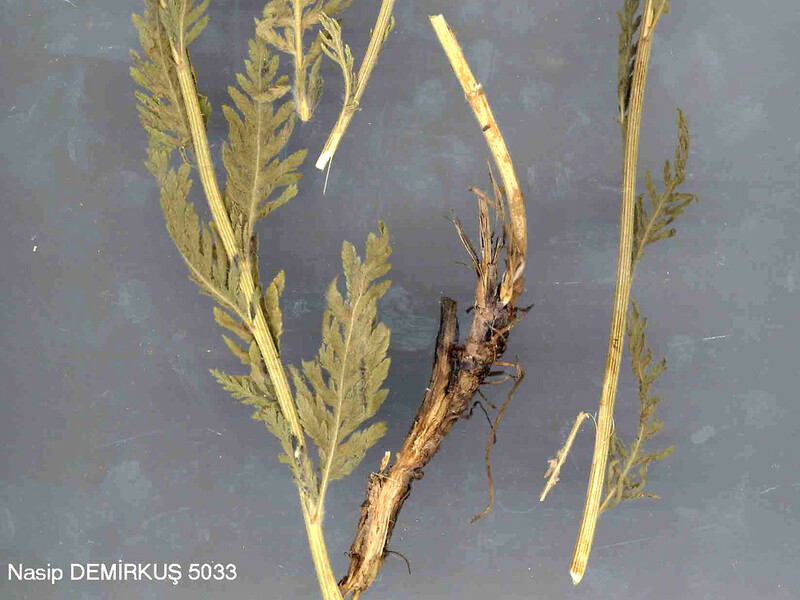 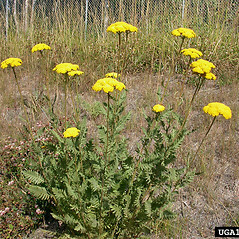 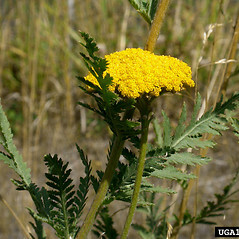 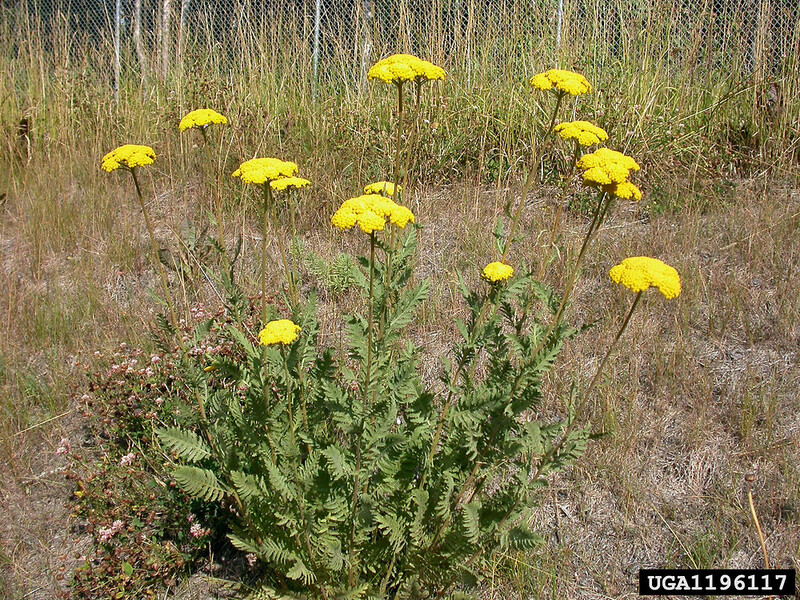 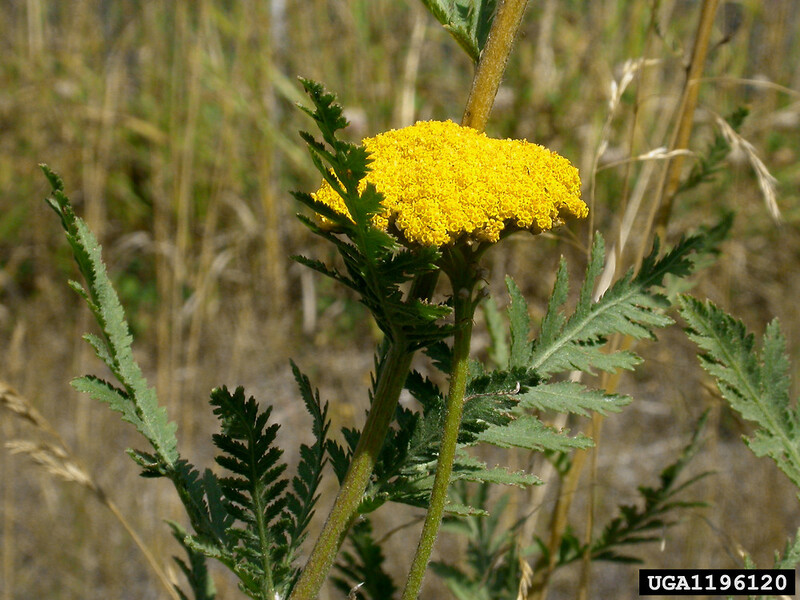 With its deeply-dissected, grayish-green foliage and large, dense corymbs of tiny yellow flowers, fern-leaved yarrow is a popular garden plant, tolerant of drought and poor soils. 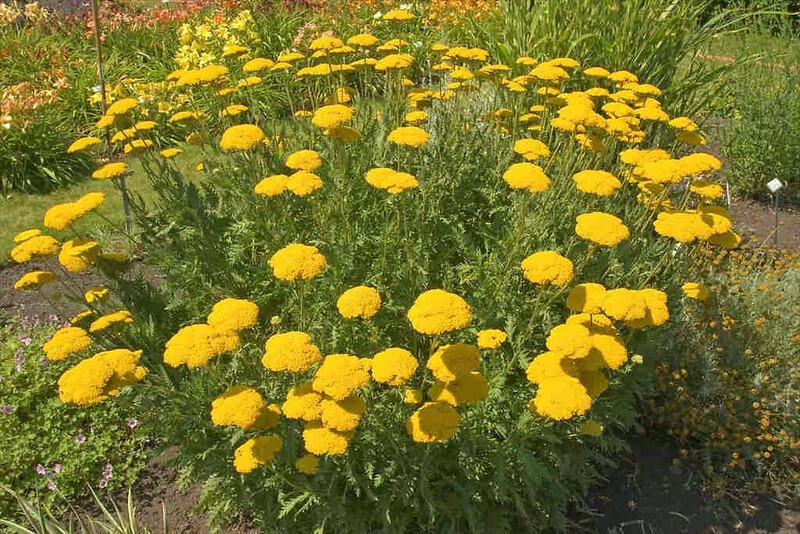 As a consequence, it is an occasional escapee from cultivation, having been collected in Vermont. 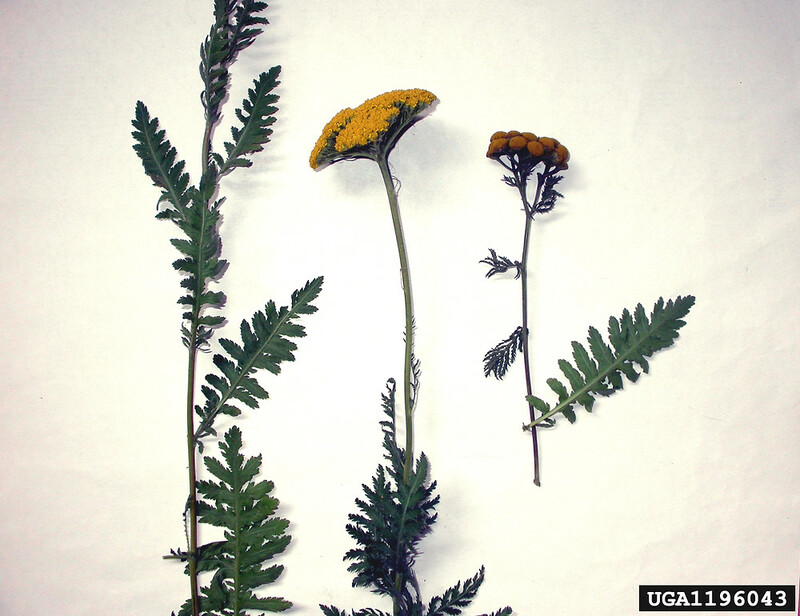 There are a wide variety of cultivars in the horticulture trade. 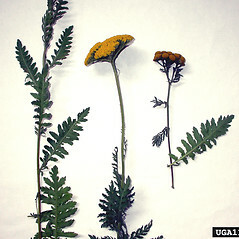 final divisions of leaves usually narrower than 1 mm and stems hairy with woolly hairs (vs. A. filipendulina, with final divisions of leaves 1.5-8 mm wide and stems hairy but not with woolly hairs). 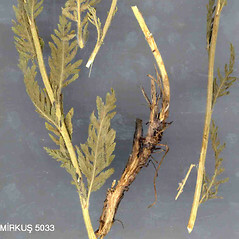 Fern-leaved yarrow. 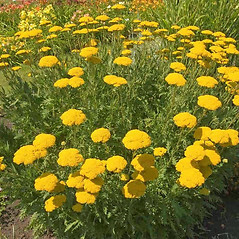 VT. Gardens, waste areas.